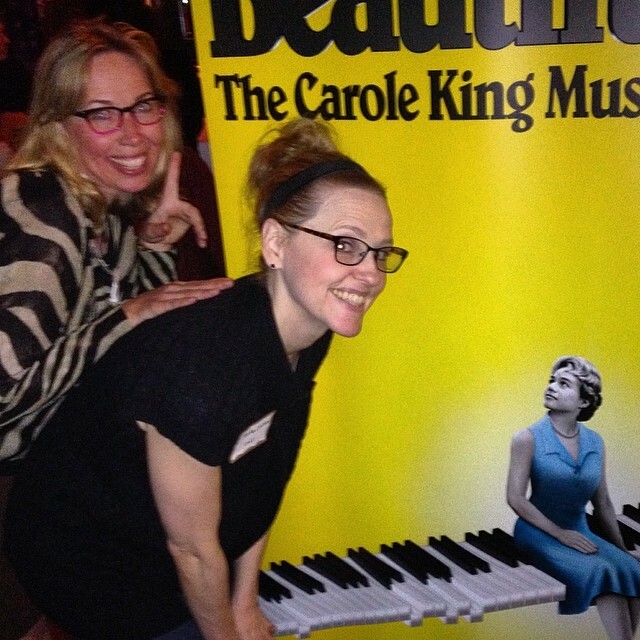 The other night I saw Beautiful: the Carole King Story. It was an awesome rumination on the creative process. Want to be creative? You have to be dogged. Sure, King (born Klein) was brilliant — the characters mention several times how she graduated high school at the age of 16 — but she was hard working. I love that. “Good things come to those who hustle.” And our girl Carole hustled. I loved that the musical shows how creativity is a collaborative and a competitive process. Mary Beth Coudal, blogger, and Anika Larsen, who plays Cynthia Wiel in Beautiful. The cast was awesome. Everyone’s raving about how amazing Jessie Mueller is. But so is Anika Larsen as songwriter Cynthia Wiel, Carole’s gal pal, foil, and competition. Now, from my lonely feminist perspective, I must point out that King’s songs really defined a generation of women finding joys in being a woman, “You make me feel like a natural woman!” (co-written by her partner, Gerry Goffin.) So fantastic — a real anthem and celebration of natural womanhood. I, for one, in this age of Botox and plastic surgery, would like to return to the beauty of natural womanhood. I also wanted a little more about how Carole came to love herself and not just the ups and downs of her romantic and troubled love for her fellow songwriter and husband, Goffin. But this musical shows one slice of her life. To find out more I think I will have to read her memoir, A Natural Woman. This musical is amazing. 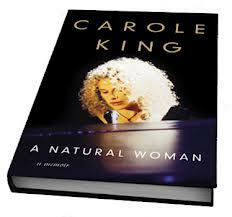 Carole King’s talent and output inspire me. Go. See it Sing along. Disclaimer: Thanks to Beautiful and the Serino/Coyne group for the tickets. The opinions on this blog are always my own. I loved the show too. (And it had nothing to do with the fact that my name is Carol (no “e”) King! LOL. My sister read the book and loved it. Yes, I’ve got to read the book! Thanks for stopping by my lil blog!